German Roller Canaries love to sing their little hearts out. Steve Billmire was “tweeting” long before there was Twitter. But his tweets don’t come from the keys of his computer, rather the beaks of his birds: the hundreds of German Roller Canaries he’s spent a lifetime breeding and training in his backyard in Fremont., Calif. 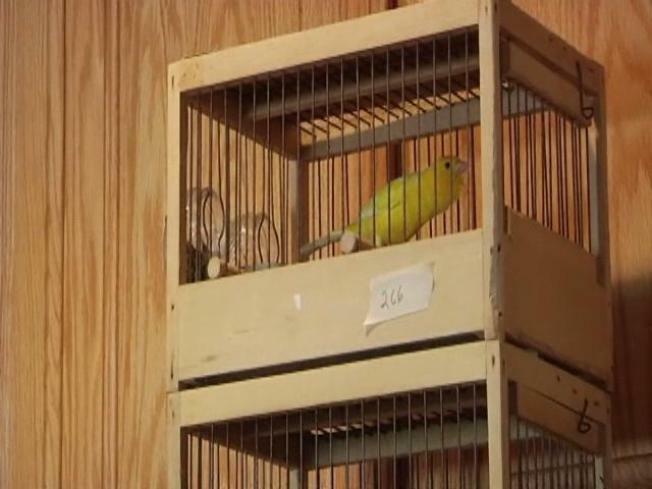 This weekend, a few of his yellow and green feathered friends will compete in Alameda at the annual Roller Canary Song contest. 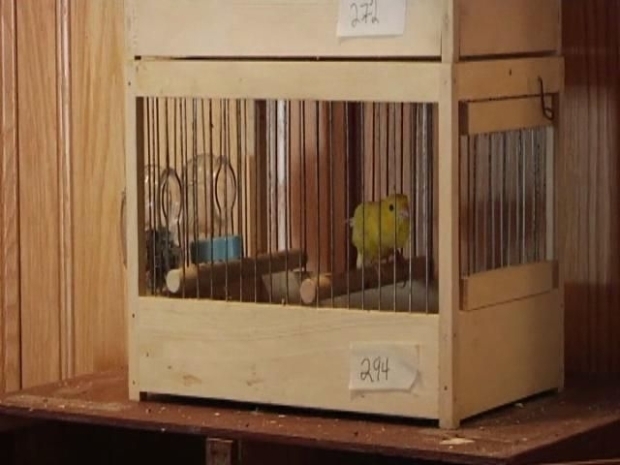 The object is to get four birds to sing at the same time, on demand, in front of a judge. Who knows why the caged birds sing? Roller canaries' unique voices feature in a one-of-a-kind competition. Billmire doesn’t actually teach his birds how to sing. They were born with those skills. To them, it’s like breathing. “They’re giving you what they have. One of their purposes in life is to sing,” said Billmire. Billmire’s talent lies in picking the birds with the best voices and conditioning them to sing when told. When he’s not working as an engineer at Lockheed Martin, check the aviary. He spends hours in there listening to the birds sing. His ear is so well trained, that even in a noisy, crowded cage, he can still pick out the chirpers with the clearest and deepest tones. The best “rollers” then spend the week prior to competition inside a song cabinet: a box that lets in very little light. This way the birds don’t exhaust their voices since they don’t like to sing in the dark. “So essentially you work for a year with these birds for 20 minutes with a judge," said Billmire. Listen closely and you’ll hear distinct sounds or “tours.” The four main tours are the hollow roll (“…like wind blowing through a knothole in a fence”), bass roll, hollow bell and flutes. God only knows why they sing the way they do or why they vocalize at all outside of mating season. Billmire knows why he loves listening to them so much. It’s an art to put together the best quartet and achieve such beautiful harmony. The song contest is Friday and Saturday at the Coral Reef Inn in Alameda, Calif. You’ll be able to hear some of the top birds at Saturday’s song clinic scheduled from 11 a.m. until 1 p.m.